The whale watching tours in July were great and with such a success. Seeing humpback whale in over 99% of the tours only one very unlucky tour. The whale watching tours in July were great and with such a success. Seeing humpback whale in over 99% of the tours only one very unlucky tour. 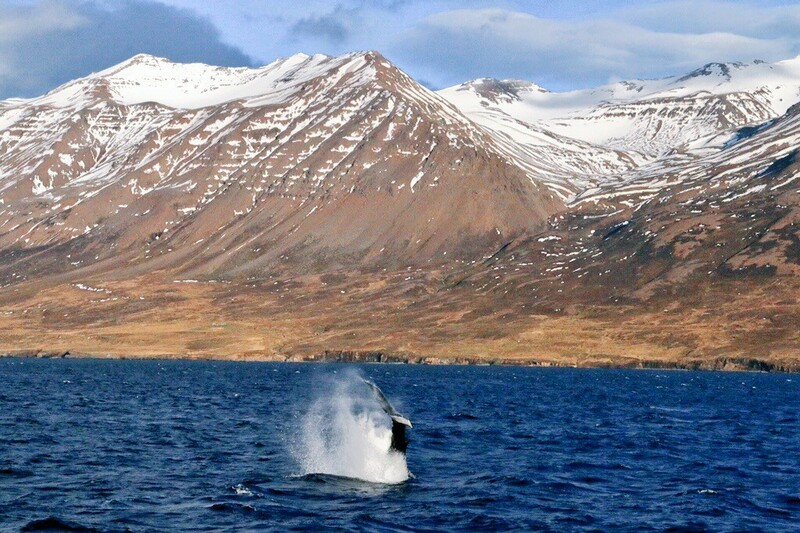 In early July we were watching the whales close to Dalvik and around Hrisey Island. 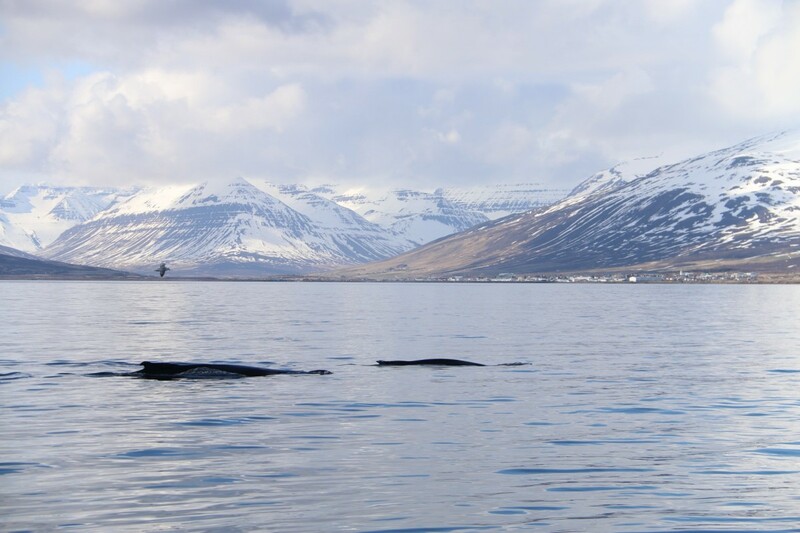 In the second half we were deeper in the fjord watching the humpback whales in great number from Hjalteyri. The unusual gathering around Hjalteyri was amazing seeing there up to 15 humpback whales and they were ready to show off and often came up very close to the boats. We feel privileged to be able to show our passengers humpback whale in almost all of our tours. These are so graceful and fun to watch animals. Other species are not common this summer but harbor porpoises and occasional minke whale. We did though miss our lovely white beaked dolphins but the cost of being further up the fjord is a lack of dolphins as they prefer to be north of Hrisey Island. We kept our 100% record of showing humpback whales until we stopped going out 12th of November. Great tours and excellent humpback whales as always this year. Whale watching was excellent in may with humpback whales in sight almost in all tours. Far better than last year so this season is looking very good. 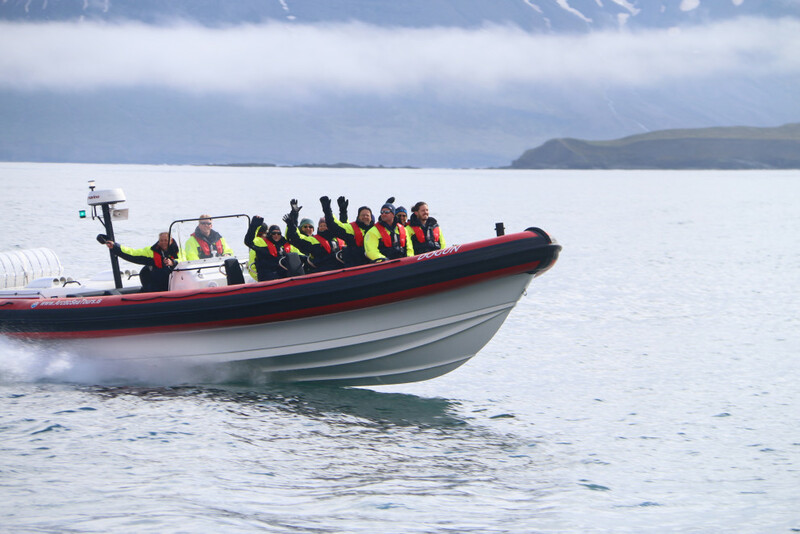 The new Rhib boat for Arctic Sea Tours has arrived in Dalvik. The boat is built in England by Ring Powercraft and is 13 meters long with two 370 hp Yanmar engines and tubes from Henshaw Inflatables. © Copyright Arctic Sea Tours 2018. Alle Rechte vorbehalten.